Come ring in the sounds of the season with the St. Francis Concert Choir singing a variety of Christmas carols, with a special song in honor of Our Lady of Guadalupe. The multicultural club will sponsor treats and festivities immediately following the concert. Enjoy an evening of refreshing one-act plays performed by the Drama class. 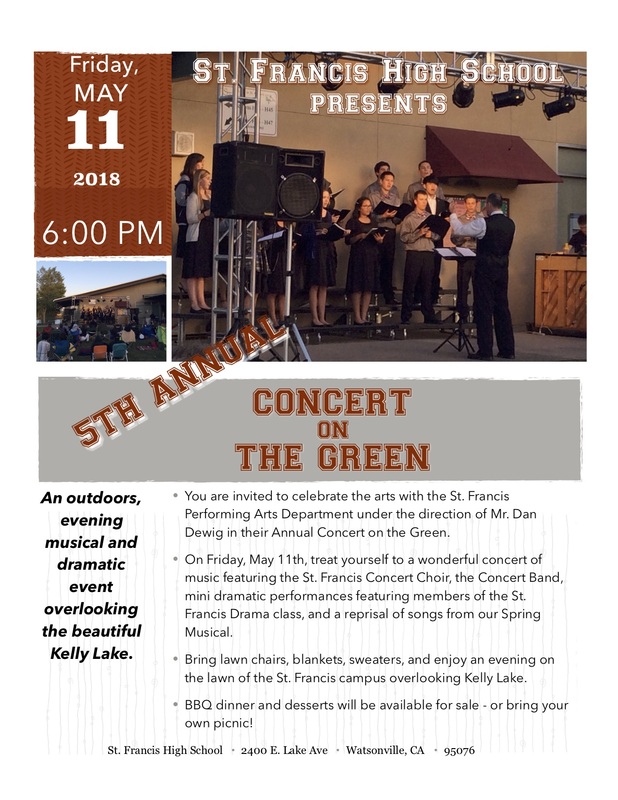 Friday, May 11th at 6pm - featuring performances from "The Music Man", the St. Francis Drum Line, Drama classes, and the award winning Concert Choir. The Choir and Band will be performing brief selections during the Open House Tours on Sunday 11/12. Come see what we've been working on! Shows will sell out - there are only 50 seats per show!